Fifty years after the 1967 Six-Day War, debate rages over its causes and consequences. As militant anti-Zionism has become ever more pervasive in Western academia over the last half century, there has been a "historiographical rewriting" of the Six-Day War to cast blame on Israel. This revisionism has "effectively become the received dogma, echoed by some of the most widely used college textbooks about the Middle East," explains Gabriel Glickman in the Summer 2017 issue of MEQ. How did Israel manage to rout a numerically and materially superior coalition of Arab armies? If the Israelis were all nerves on approaching war—Chief of Staff Yitzhak Rabin suffered a breakdown—the Arab leaders were wildly overconfident. A Syrian general predicted a victory over Israel in four days, "at most." Egypt's President Gamal Abdel Nasser "showed no signs of concern, insisting that the Jews were incapable of mounting" precisely the surprise air attack that they did pull off. A striking indication of this inability to accept reality was the readiness with which Arabs, Egyptians especially, embraced conspiracy theories attributing the defeat to Western military intervention on the side of Israel during the fighting. This claim, examined in detail by MEQ author Elie Podeh, originated with Nasser himself during the war to explain the incomprehensible trouncing Egypt was receiving, particularly from the air. Although Nasser eventually disavowed the claim, it still lives on in some Egyptian textbooks. Ineffective training and lack of social cohesion led many Egyptian soldiers to buckle under the stress of combat. In the highly influential 1999 MEQ article "Why Arabs Lose Wars," retired U.S. Army colonel Norvell B. De Atkine draws upon years of experience observing the training of Arab militaries to explain why they perform so badly when someone starts shooting at them. The reasons, according to De Atkine, are mostly socio-cultural and political. Arab educational systems, which privilege rote memorization over problem-solving, account for officers with a "diminished ability to reason or engage in analysis based upon general principles." Arab aversion to public humiliation inhibits constructive interaction between teachers and students (Atkine advises American military instructors in the region to "ensure that, before directing any question to a student in a classroom situation, particularly if he is an officer, the student does possess the correct answer"). Furthermore, the Arab world's rigid social stratification and lack of strong overarching national identities greatly weaken the cohesion of units, which "tend to disintegrate in the stress of combat." Pervasive authoritarianism in the Arab world has led rulers to marginalize (or worse) "officers with initiative and a predilection for unilateral action" who might pose threats to their regimes, prohibit lateral communication between units, and avoid combined arms training – all deeply injurious to the battlefield performance of their armies. When the guns fell silent on June 10, 1967, Israelis were understandably optimistic that the outcome of the war would bring peace. Although the Soviet Union was quick to replace the Arab states' material losses after the war, the humiliation of suffering the modern world's most lopsided military defeat against such a heavily outnumbered foe ended Nasser's pretensions to pan-Arab leadership – indeed, it ended pan-Arabism as a major ideological force in the region altogether. 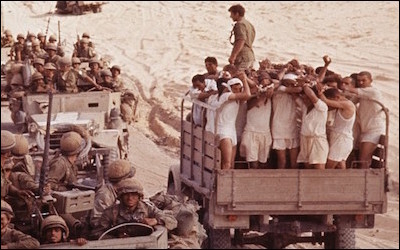 Unfortunately, the lopsided outcome became "the standard to which the IDF aspired – and the kind of victory expected by Israeli society in future engagements," writes MEF Shillman-Ginsburg Writing Fellow Efraim Inbar in an article on the "burden of Israel's 1967 victory." This "unrealistic anticipation" has "hamper[ed] clear thinking and impede[d] the adoption of appropriate strategy and tactics." The war brought about a "transformation of the international discourse about the country's future borders," notes Inbar in the Summer 2017 issue of MEQ, "with the June 1967 line (or the Green Line) becoming the starting point for any such discussion ... a sea change for Israel, whose neighbors had previously refused to accept its very existence, let alone its initial borders." Indeed, the ambiguous wording of UN Security Council Resolution 242, which called for Israel's withdrawal "from territories occupied in the recent conflict" (rather than the territories), indicated that a full and complete Israeli withdrawal even from newly captured territory was neither demanded nor expected. While Israel enjoyed greater acceptance at the state-to-state level, the outcome Six-Day War also instigated two countervailing trends. 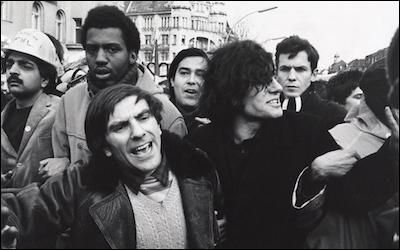 The German New Left was the most "philo-Semitic and pro-Zionist" leftist movement in Europe prior to the Six-Day War, wrote historian Moishe Postone. After the war, however, none "identified so strongly with the Palestinian cause." First, as MEF Fellow Jeffrey Herf explains in the Spring 2017 issue of Fathom magazine, the war dramatically transformed attitudes among what was known as the New Left in Western Europe, Japan, and America, from "empathy and support for Israel" to "antagonism that has persisted to the present." The growth of militant anti-Zionism in the West eventually culminated in what's known today as the Boycott, Divestment, and Sanctions (BDS) movement. Second, the Israeli victory did nothing to dampen Palestinian rejectionism, which had been entrenched for decades owing to the enduring legacy of Hajj Amin al-Husseini. In fact, this rejectionism intensified as Yasser Arafat's PLO presided over a global campaign of Palestinian terrorism in the 1970s. Continued Palestinian rejectionism left Israel "stuck with overseeing an intensely hostile population that it dare not release ultimate control of," writes MEF President Daniel Pipes in a recent Washington Times op-ed. 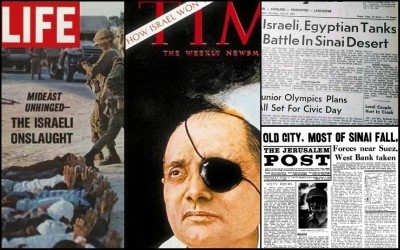 Fifty years later, Israel continues to struggle with this dilemma.